Well – here it is. We did it. We said we would and now we have. 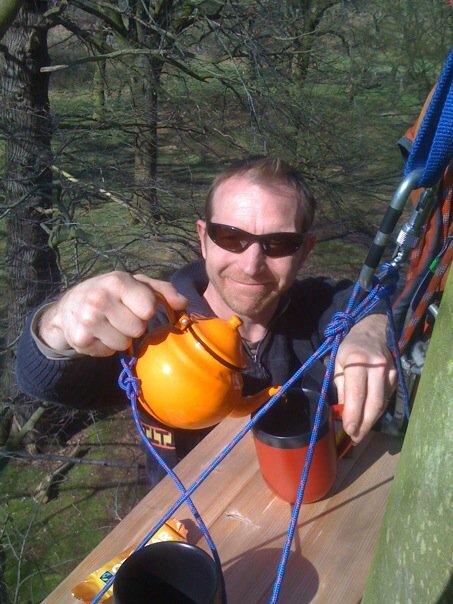 Today Joe White and John Sims eventually got off their proverbial, got a pot, some cups and a couple of lengths of rope and set out into the wilds of Richmond park to take tea at height. These brave pioneers dared to dream of such a day and have opened the flood gates for daredevils and dreamers the world over to indulge in the risky business of tea drinking. This is social networking atÂ height, at depth, at speed or at any latitude you choose. The challenge is simple. 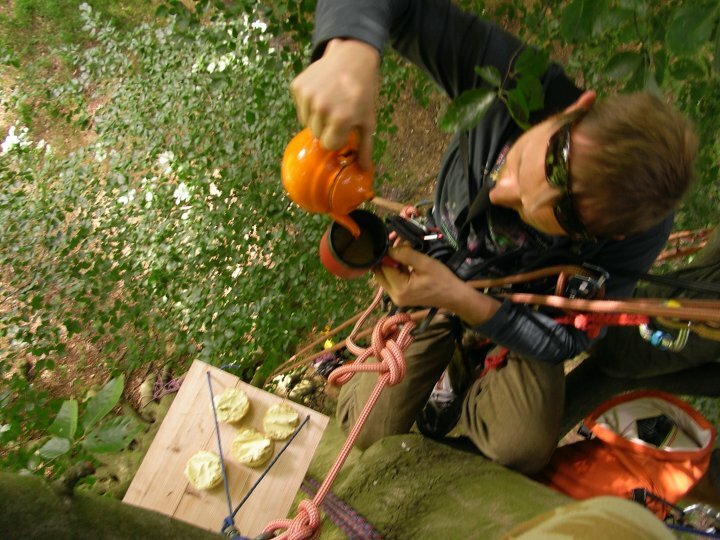 Get a pot, pack some cake and crown your heroic adventures with a nice cup of tea. Just make sure that the tea is freshly brewed, that it’s made in a pot and that you share it on Extreme Tea. Take some photos, shoot some video and share it all here on Extreme Tea. Join up and see what others are doing, invite friends, start your own group, post you latest adventure and start connecting with other extreme tea adventurers. You can do it for fun, for charity or just to prove that it can be done. Membership is open to anyone with a thirst for adventure. Sign Up Now for an account on Extreme Tea and start sharing your trills and spills. Previous PostFun(d) RaisingNext PostWe’re on facebook !